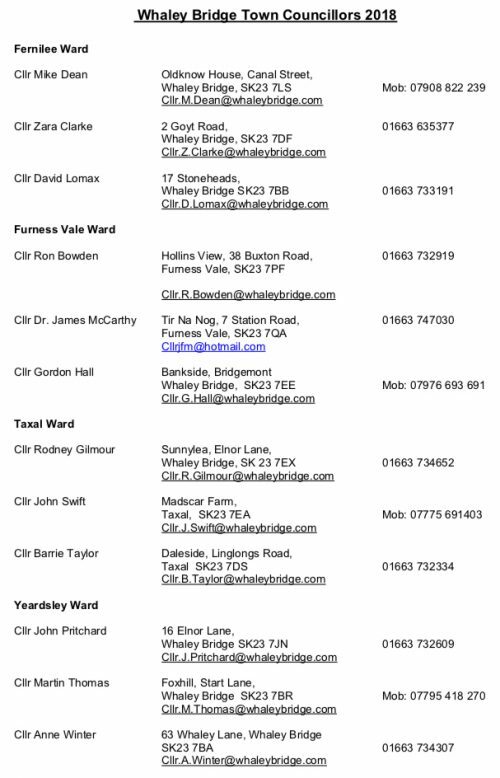 Each year, in April or May, Whaley Bridge Town Council holds the Annual Town meeting, in addition to the normal town council meeting. For ease of access, the meeting is held downstairs in the Mechanics Institute and the public are very much encouraged to attend. The meeting summarizes developments and progress over the year, and provides an opportunity for the public to ask questions and comment. There are progress reports from the Town Council Chair, the Police Safety Neighbourhood Team, the County Councillor and the HPBC Councillors. Minutes for the latest meetings can be found under the ATM column on the Council Meetings page on this website.